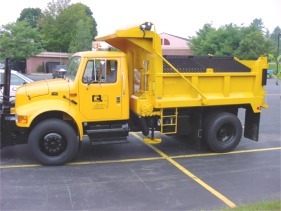 Browse these Queensbury Highway Department forms for Block Parties, driveway, excavating and fill permits, and information on our Spring pickup program! Approximately 190 miles of roadway is maintained by Queensbury Highway. The Highway Department is also responsible for drainage, plowing, paving, grading, sanding/salting, brush pick-up, signage, shoulder repair, etc. Currently, there are 17 plow routes to help ensure that the roadways are maintained in a timely manner. We will continue to strive to improve our service to the public.